AC: “The places children learn in shape them, and help them shape the world. Space, light and movement are integral to wellness and success. Every child deserves beauty and inspiration in their daily life.” Tell us more about this statement and how someone can integrate this into their home for their children. MRH: We’re an amalgam of the experiences we’ve had and the environments we’ve encountered along our journey. We contribute that energy, who we are, to the world every day (whether we’re conscious of it or not). I believe we, as adult guides, have a responsibility to provide inspiring, healthy, stimulating, and even beautiful learning environments so our children can discover their personal skills and gifts. The gifts they’ll eventually contribute to the world in hopefully positive, meaningful ways. After several years creating what I’ve termed Kid-Smart Spaces for elementary and middle schools, I’ve learned academic achievement is directly linked to supportive physical environments. Integrating this into your home means being thoughtful and deliberate in creating your child’s spaces, especially where learning is involved. What are some important things parents should consider in designing and decorating their desk/homework area? If you think about it, kids react to many of the same stimuli we do. If you had to work in a small space with bright red walls, only had one foot of desk space to work on because of messy, scattered papers or if your desk faced a window with a great view might you feel anxious, frazzled or distracted? When you’re designing their play and study spaces, put yourself in their shoes. As adults we often get stuck thinking kids' spaces need to be bright and stimulating. Certainly areas of play can be high energy, but beware of overstimulation. Mental, process-oriented tasks require balanced spaces that are conducive to processing information and thinking creatively. Think through what kinds of activities your child will be doing and decide whether certain design elements might be counter-productive to the task at hand. There’s a lot of conflicting information on which colors affect mood and in what ways. In an educational environment, bold, bright colors can be distracting and overly pale colors can cause sleepiness. Blues and greens have long been said to support focus and concentration, but I approve most colors. My recommendation is to find balance by using lighter shades on walls. For instance, instead of purple consider a lavender or grey/purple like Benjamin Moore’s Sanctuary. Instead of orange consider peach. Instead of red, consider a mauve or softer pinks. Use pops of bolder colors to accent the space through wall art, lamps, seat cushions, desk accessories, rugs, etc. I have only one color caveat: I don’t recommend red for study spaces (psychologists have found it can raise blood pressure, heart rate and cause anxiety). If you really love it, remember to use it sparingly as only an accent. (If you’re creating an art space, keep to neutrals because walls are a light source - either emitted or reflected - so the colors of a space influences the perceptions of the colors your child may be working with. Gray is the most neutral color for artists. And don’t worry - it doesn’t have to be drab. There are some beautiful greys out there). I loved Anjie’s fantastic post discussing the Feng Shui properties of various colors. It’s a wonderful resource that can help you decide which direction to take. This one’s a no-brainer. To use our skills of analysis and concentration, it helps to be comfortable. I don’t know about you but it’s near impossible for me to concentrate when my office is freezing cold or sweltering hot. Avoid setting study spaces up too close to windows or HVAC (heating ventilation air conditioning) systems. Also, it’s very important to be mindful of air-flow. Open windows at some point every day to let fresh air in. It’s energizing, it’s good feng shui, and it minimizes indoor air pollution and germs that impair wellness. Neuroscientists at Princeton did a study on clutter and found that when parents dealt with their own belongings, their stress hormones spike. Children suffer doubly, first as they fight their own battle to focus in a cluttered environment, and again when the parent they depend on for direction and guidance is short-fused or under-performing due to clutter and overwhelm. It’s especially important to keep study spaces neat and organized. An educational space in your home doesn’t have to be all about studying. Certainly it should accommodate more serious tasks like homework and papers but it should also inspire wonder, engagement, and fun. A great way to infuse fun into a space is through multi-functional, modular, moveable furniture. Toy storage that doubles as a reading seat or maybe it’s on wheels so it rolls out to the middle of the room when toys are used. Yoga balls are also on the rise for student use. Or, try mixing it up. Maybe they sit in a chair when completing a school assignment but switch to the beanbag when it’s time to read. Add a sense of play with fun desk accessories - throw in a Rubik's cube to strengthen problem solving and creative thinking. There are so many creative ideas out there. Your inner child probably has a few in mind! Let them pick certain decor elements (lamp/ desk supplies/ wall art) that reflects their interests, passions, and identities. Let them make the final decision between your top 2 paint choices. Let them choose the accent colors. 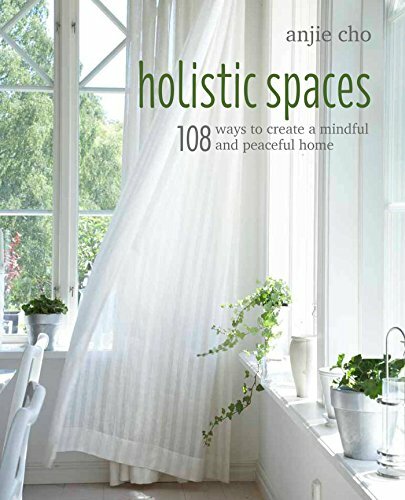 How do you create your own holistic space at home? My home is both my physical and emotional safe space. I have several rituals, but one I particularly love and do every day when I shower is I run the hot water for a few seconds and toss in a few drops of essential oil. They rise with the steam and make the bathroom (and that entire side of the house actually) smell like a spa. I use peppermint and orange oil in the morning to get energized, and lavender and eucalyptus at night to soothe. Design-wise, I have a connection to every piece of art or decor in my space. It must evoke positive feelings or it goes. Which leads me to my last point...I’m an avid believer in the Feng Shui practice of channeling energy flow through de-cluttering. For those who have a tough time with this, Anjie can help you break through in big ways. I also recommend a book that taught me how little the stuff we keep is actually about the stuff itself! Throw Out 50 Things changed my home storage life forever. 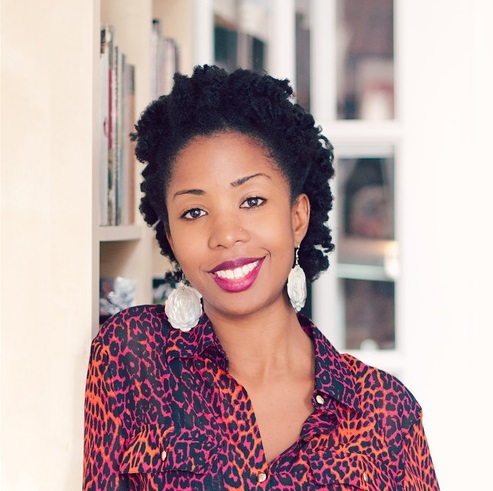 Magalie René-Hayes is a Social Entrepreneur, Interior Designer, and Founder of FOUNDATIONS Design Group. She helps administrators, teachers, and parents create Kid-Smart Spaces™ that support academic excellence. As a result, hundreds of students have been impacted by inspiring physical nvironments that support them in discovering the gifts they will use to make meaningful contributions to the world. Magalie has worked on a variety of residential, commercial, and institutional projects in the New York Tri-State area and Los Angeles. She speaks on a variety of topics including personal growth, career transition, and creating “Kid-Smart Spaces” at school and in the home.